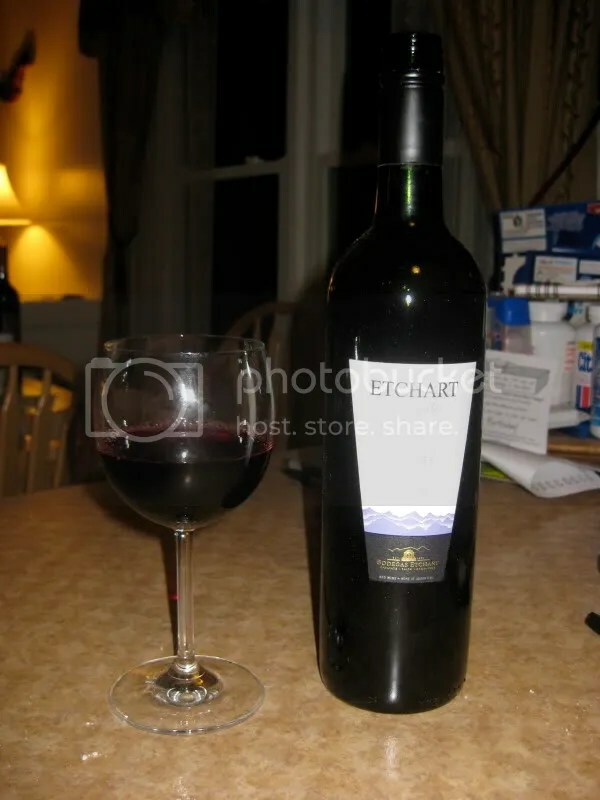 *Disclaimer: I received this wine as a sample form Bin Ends Wine in order to participate in the Twitter Taste Live. For the last month, I’ve spent my Wednesday evenings having an affair with Argentinian wines. The theme for Twitter Taste Live all this month has been wines from Argentina. In the past I haven’t had many wines from Argentina, so I was excited to spend this month getting to know them a little better. You’ll be seeing a ton of Argentinian wines around the wine blog in the next few weeks as I finally get around to writing my reviews. 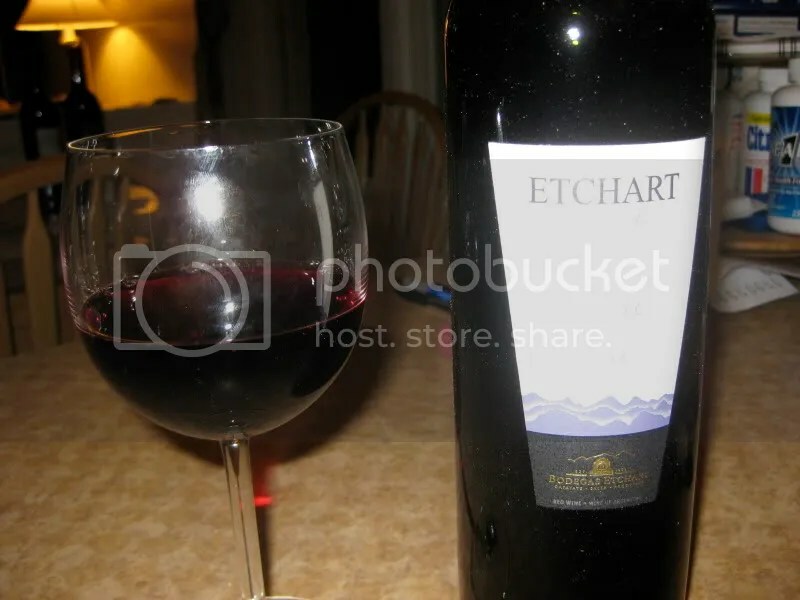 The first wine I want to tell you about is the 2008 Bodegas Etchart Reserve Malbec. It had a real cork closure and weighed in at 14% alcohol by volume. On the nose I got espresso, bittersweet chocolate, herbs, spice, pepper, dark black fruit, plums, apple cider (yea, I realize that’s odd and out of place), earth, cloves, wood. I said in my notes “this smells like Christmas!” In the mouth I found black cherry, black plum, tart fruit, almost some red fruit on the edges, pepper, spice, earth, and tobacco. The palate on this wine was TOTALLY different from the nose! I enjoyed it though.